during the winter! 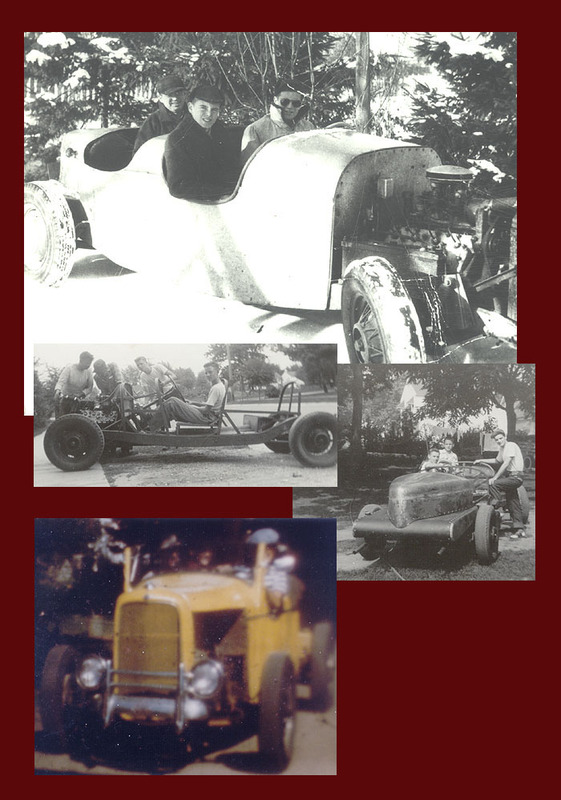 The story goes, young Don Sullivan needed transportation, so his Father (Fords legendary horsepower wizard Don Sully Sullivan) informed his son if he wanted an automobile he would have to build it himself. So, with the help of the whole family and curious neighbors, the project began. The roadster has a 35 Ford frame and suspension with a completely hand-built body with two cockpits. The back of the car features two 40 Ford front hoods joined together to create a boat tail back end. Of course, it ran a Ford flathead V-8 with Hotton & Sullivan heads and the Don Sully Sullivan dual carb Hexagon intake manifold. Young Don Sullivan used this car for his main transportation for a number of years, diving year round with fenders and side curtains. He drove back and forth from Dearborn to Albion College on a regular basis. The car was later sold and the whereabouts are unknown.